I'll be honest with you and tell you that these falafel turned out a lot better than I ever imagined. They're the best falafel I've ever had. Well flavored and SO satisfying. Plus, they make great leftovers. I highly encourage you to have this in a warm pita with the tahini sauce. 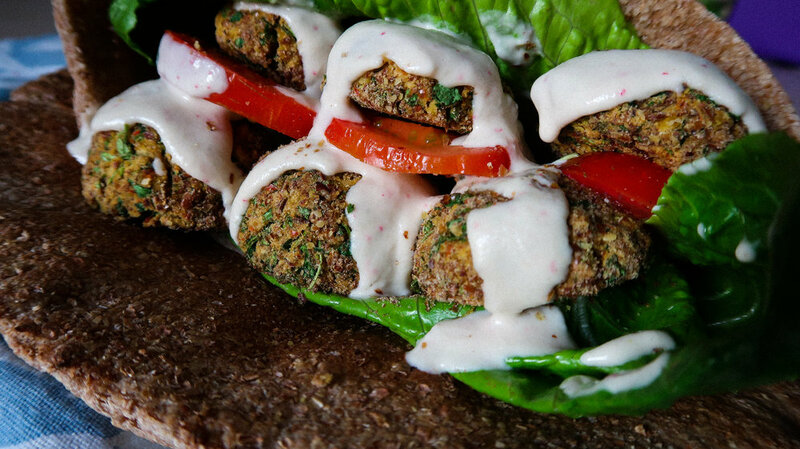 It's sour and refreshing, balancing out the savory flavor and density of the falafel. 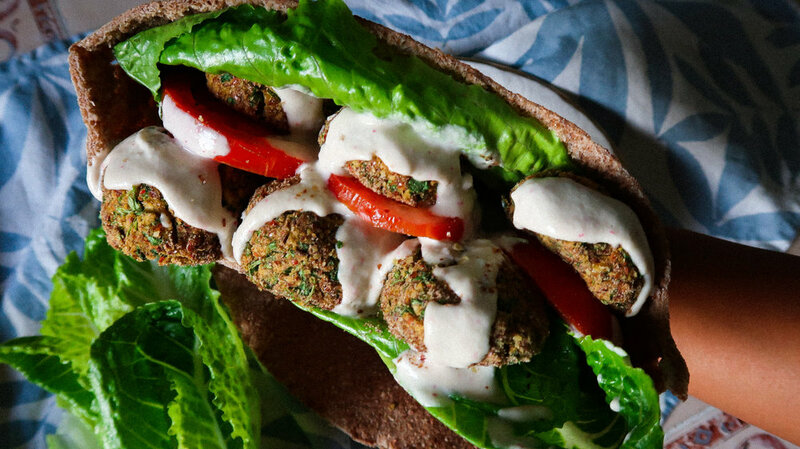 These falafel are dense yet fluffy, bold yet refreshing, satisfying, yet light. Oil-free, gluten-free, and of course, vegan. Enjoy with warm pita bread, lettuce, sliced tomatoes, and tahini sauce.